Hundreds of thousands of people took part in mass demonstrations in more than 80 cities and towns throughout Spain Saturday to mark the first anniversary of the eruption of the indignados or 15-M movement. One year ago, thousands of youth occupied public squares in 162 towns and cities around Spain protesting unemployment, the corrupt political system and government austerity measures imposed by the Spanish Socialist Workers’ Party (PSOE). Since then, conditions of life have only gotten worse. In just the first three months of the year, 365,900 people lost their jobs. Unemployment now stands at 24.4 percent of the active population. 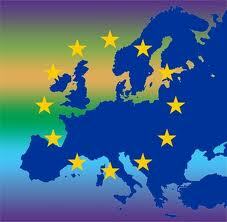 Youth unemployment is at 50 percent, the highest figure of the 17 countries in the euro zone. The current right-wing Popular Party (PP) government has so far imposed austerity measures totaling €50 billion (US$64 billion), a labour “reform” facilitating sackings and an increase in the VAT. Regional governments have continued the offensive against health care and education. Last week the government announced the partial nationalization of the country’s fourth largest bank, which holds €32 billion in distressed property assets. It also declared an independent audit of all of Spain’s banks in an attempt to restore confidence and stave off a possible collapse. Under these conditions, the government mobilized 2,000 riot police in Madrid alone to prevent protesters from setting up camps as they did last year. 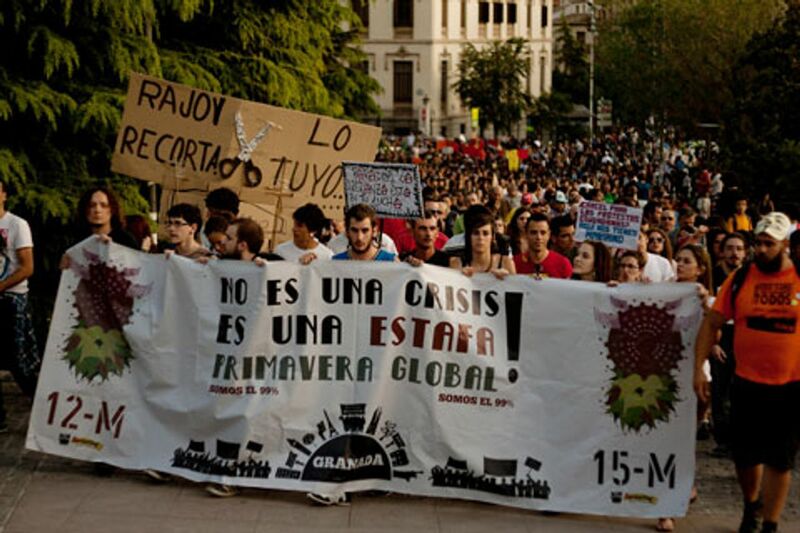 In Madrid tens of thousands marched from different neighbourhoods into the centre of the city. Some columns had started to march a day before from the towns in the outskirts of the capital. No exact figures are known. The regional government said that there were 30,000, but the main square, Puerta del Sol, holds 40,000 and was full to overflowing. Adjacent streets were also full. It was only at 5:00 a.m. on Sunday, when the great majority had left, that the police violently dispersed the remaining demonstrators, making 18 arrests. Shouts could be heard against the police saying, “Now they are blue, before they were grey.” This was in reference to the National Armed Police created by the fascist regime of General Francisco Franco. In Barcelona the regional police estimated 45,000 attending the demonstration. However, according to Directa there were at least 136,000 and a maximum of 155,000 protesters. The most widely heard chants were directed against the banks, the monarchy, police repression and the cuts in health care and education. There were also chants for the liberation of trade unionist Laura Gómez, in prison for strike actions during the last general strike. In Valencia, where Mayor Rita Barberá ordered the police to cordon off the main square in front of City Hall to prevent it being taken over by the demonstrators, 20,000 took to the streets. Similar protests took place in Seville, Málaga, Córdoba, Alicante and Valladolid, where thousands demonstrated.